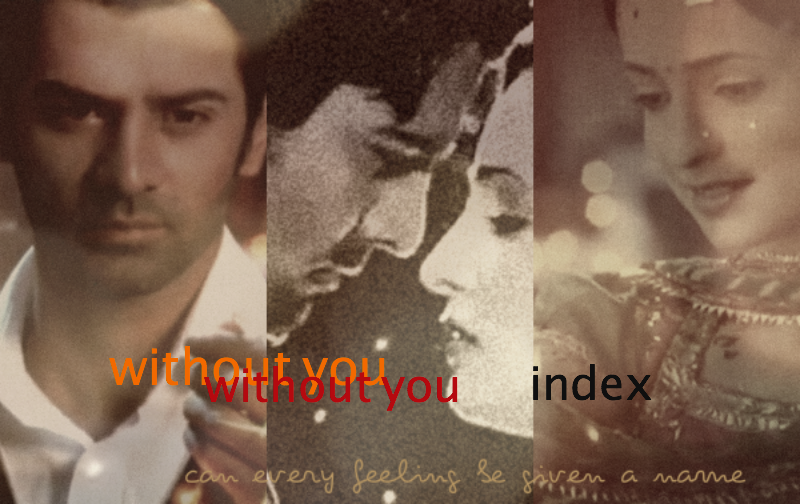 the chapters of arshi ff without you are listed here in sequence. hope you locate what you are looking for. enjoy the romance. welcome to without you. truth is, i never ever thought i’d write fanfiction. i had no idea in fact what fanfic even was when i started coming to online forums. i’d fallen for of all things a tv show, a hindi drama: iss pyaar ko kya naam doon?, a primetime serial on a channel not exactly known for fine things. definitely not stuff i would ever really take seriously or enjoy. i was wrong. you never know where you’ll meet your madness and your catalyst. okay, your happy addiction. i happened to see a couple of episodes of ipk in its fourth month. instantly i had to grab my iphone and start watching the episodes on a loop on youtube. the first serious step into the online world was taken in those couple of night . soon i joined india-forums and started hanging out there every day…. writing, chatting, getting to know a world i never would have had it not been for ipk. and later when friends would say i ought to write fanfic of some sort, i’d guffaw… write stories i cook up about characters who exist in another story. why? kahey, nandkissore? plus, i honestly had no idea i could write stories at all. but then a couple of years back, as the second anniversary of ipk approached, a series of disturbing shots of the “death” scene of asr were suddenly all over the net. of course, it all rattled the h out of me like everyone else. and yet, i felt a sudden desire to enter that moment i so feared… to see what was there. i started this story, no idea where it would drag me and the reader. could asr die? and if so, what would happen to the pyaar of asr and khushi? would it survive? or be damaged and broken? what? i wanted to go and find out. without you is already written, there are about 40 chapters. i will update regularly. i hope you enjoy reading. do please leave your thoughts here. your honest opinion always looked forward to. like to also say, it is not the easiest of stories to read, but i did love writing it.